Bosnia & Herzegovina offers three ski resorts all within a short drive from the capital city, Sarajevo. The three ski resorts include, Igman, Bjelasnica and home to the 1984 Winter Olympics, Jahorina. Probably the best skiing can be had at Jahorina, not as high as Bjelasnica, but always with plenty of snow. Jahorina has some 20 ski runs perfect for skiers and snowboarders of various skill levels, those looking for adventure or those with young children. In fact, some ski runs in Jahorina are up to 1.5 km in length! Jahorina also has up to 8 lifts operating able to take 7,500 visitors an hour. While there are very few snow machines, you can be guaranteed a great time skiing in Bosnia & Herzegovina! 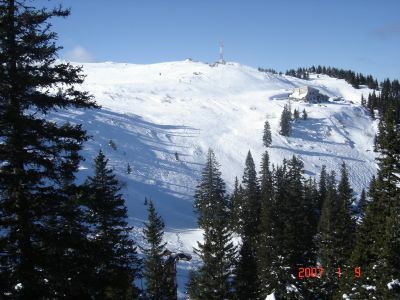 Click here if you want a live webcam of Jahorina! One of the first things that comes to mind for most is whether Bosnia is a safe place to visit, let alone going skiing in the mountains. The answer is yes, and there has been a lot of improvements and reconstruction since the war of the 1990’s. If you take a walk down the centre of Sarajevo you’ll notice trendy cafes, fashionable clothing stores and fantastic restaurants serving up both Balkan and international cuisines. Accommodation is also plentiful with various mountain retreats and hotels in Sarajevo. One such accommodation in the ski resort of Bjelasnica is Hotel Maršal Bjelašnica, whilst in Jahorina you find the highly recommended Hotel Termag, also a favourite amongst both locals and foreigners. If you do decide on skiing in Jahorina you can expect to pay as little as EUR 75 per adult and EUR 50 per child for a six-day ski pass. There are also plenty of services available up at the mountain including ski hire and also ski instructors if you’re just a beginner! Want a little more adventure? You can even hire a snow mobile for as little as EUR 50 per hour for up to four persons. 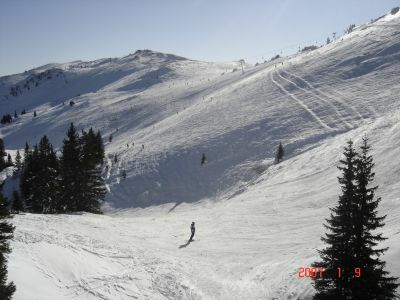 If you would like to take a ski holiday in Bosnia, take a look at the getting to Sarajevo blog. There are now various flights and cheaper options available. In short, Bosnia is ideal for a winter break that offers the best of both worlds. You ski by day and enjoy the urban attractions of Sarajevo by night. Find information about selecting cheap hotels in Sarajevo with this blog or visit whl.travel’s local Sarajevo Hotel connection. Jahorina is far best mountain for skiing in bosnia.